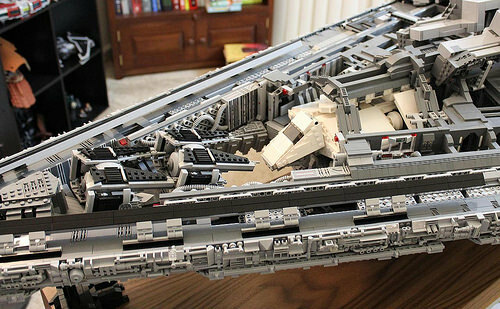 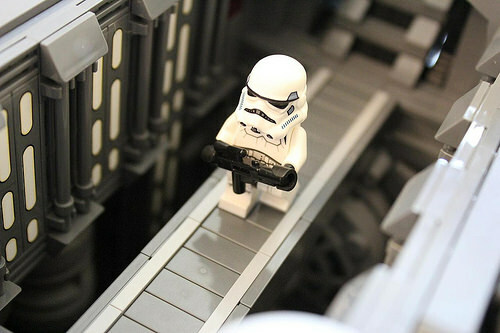 LEGO builder Doomhandle wasn’t satisfied with LEGO’s official versions of the Imperial Star Destroyer — they just didn’t have enough detail, inside or out. 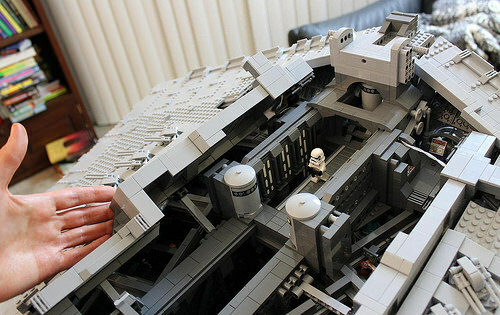 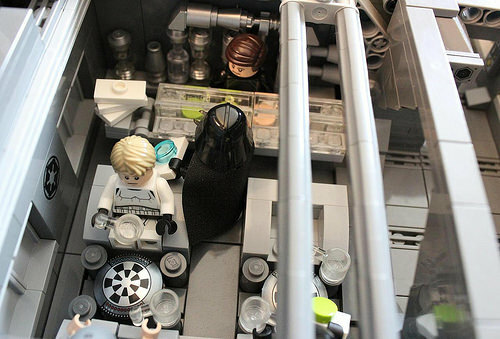 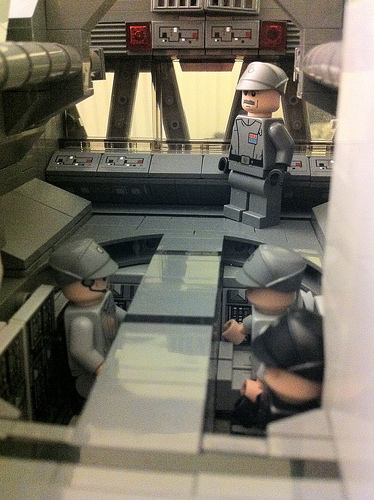 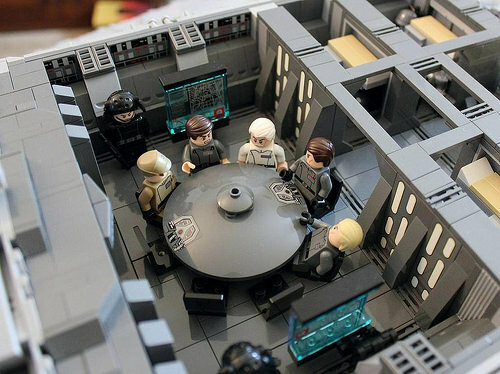 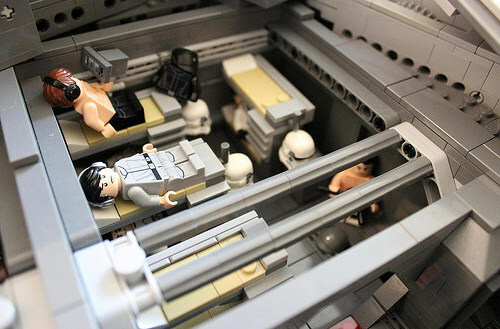 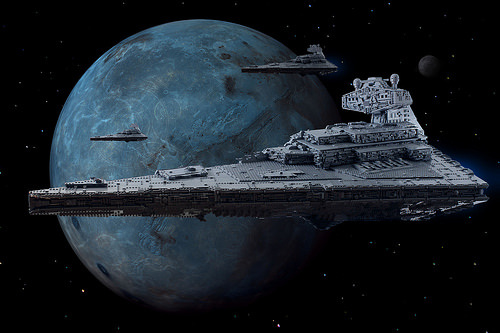 Taking a cue from the official sets, though, he’s created a stellar model of the Imperial Star Destroyer Tyrant with a minifig-scale interior full of various scenes aboard a ship of the Imperial fleet. 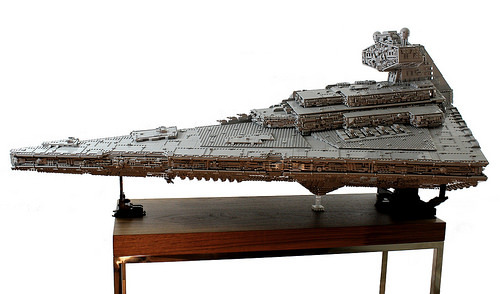 Doomhandle tells us he spent over a year constructing it, and the final model is nearly 5 feet in length. 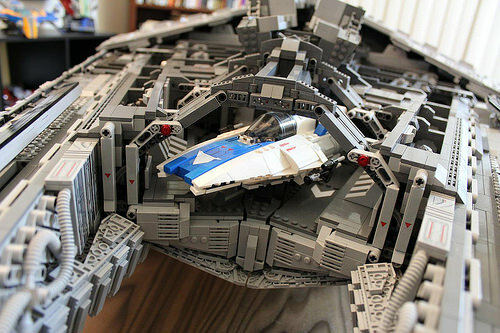 It is significantly more accurate and detailed than LEGO’s official Ultimate Collector’s Series model, and it features a full hangar deck complete with TIE Interceptors, a Sentinel Class Imperial Shuttle, and a captured A-Wing. 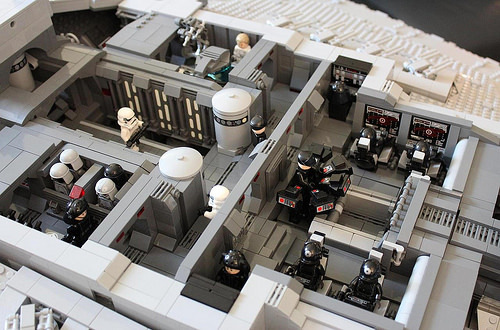 It also has a command deck, conference room, barracks, detention center, supply rooms, canteen, and more. 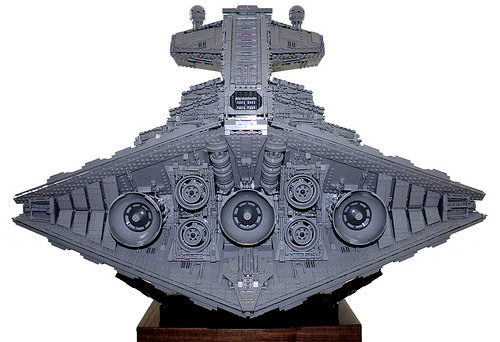 And if you’re curious about what it takes to design and construct such an impressive model, Doomhandle has documented his build process, so you can see lots of pictures of the hidden frame as a work-in-progress and get a feel for just how large this ship really is.